As 2014 draws to a close, we are caused to reflect back on the previous six months in particular, which has been an emotional roller-coaster for our family, but also where we have experienced the Lord’s blessing and provision in ways we could never have imagined when the year began. Leaving the United States, where we spent a little over three years, was a tough time for our family. 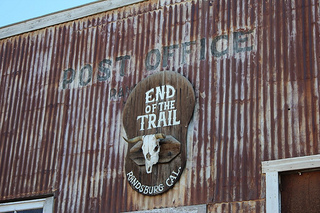 We left behind fantastic friends and a tight church family, where we were privileged to serve and fellowship for most of our time there. 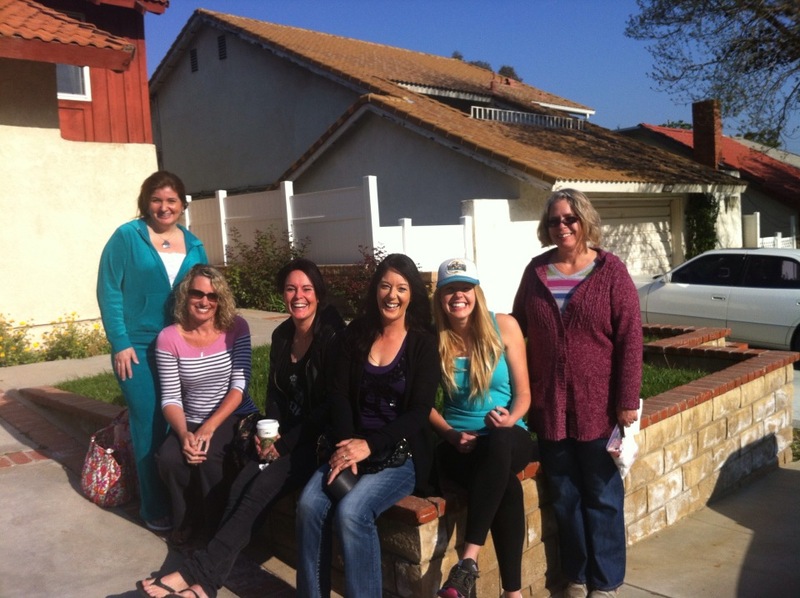 We take with us many memories and experiences that we will treasure for the rest of our lives, but whilst we have left our friends physically, parts of our hearts have remained with them in Southern California. After finishing seminary in August, the packing up and selling of all our possessions began in earnest, as we raced to meet a deadline to get a shipping container loaded and sent ahead of us. After that, we were keen for some vacation time. Concurrent to this, the candidating process with NZ churches began, to see what the Lord may have in store for us back home. During our last few weeks in California, we were graciously offered accommodation with the Longs, a dear family from our church family at PBC. We are very grateful to Paul and Karen for their generous and kind hospitality, and really enjoyed a few weeks with them in their home. After a final Sunday morning of worship and fellowship at PBC, we spent a final few hours with our closet friends in the afternoon, before flying back to New Zealand. 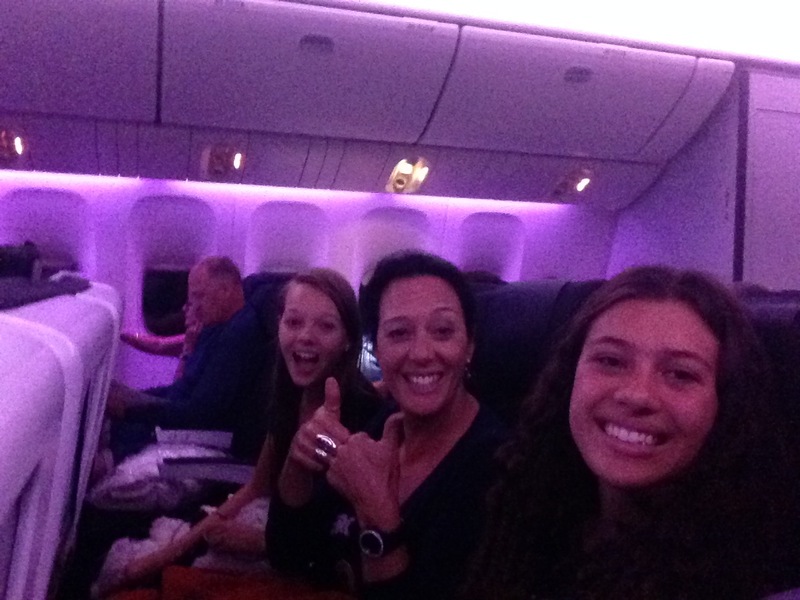 The arrival back home engendered a mix of emotions – the sadness of leaving behind our close friends in the States, but also relief to finally be back in New Zealand – the land of cooler weather, but fantastically fresh food and really good fish n’ chips and chocolate. There was also the added bonus of being reunited with family and seeing our church family at Heretaunga Christian Center. 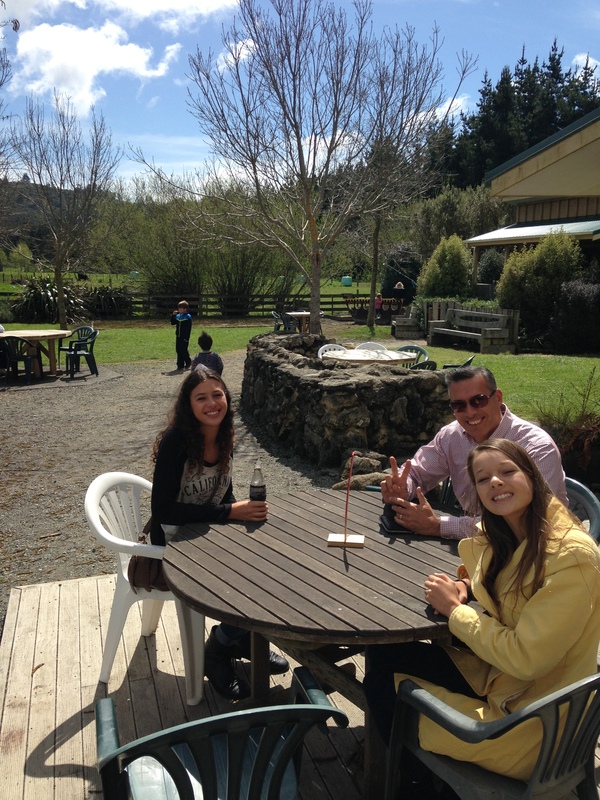 We are very grateful for our families and for those at Heretaunga, who not only embraced us warmly, and also provided us with accommodation and gifts which enabled us to survive the next couple of months as Mark continued the candidating process at a couple of churches. As we look back on this period, we remained astounded at God’s constant goodness and kindness toward us. We are greatly humbled and thankful to Him, Who has never failed us, Who is constantly faithful to us, and Who promises to supply all of our needs. The final blessing that we experienced this year came in the form of Mark receiving a call to be pastor of New Plymouth Bible Chapel starting in the New Year. 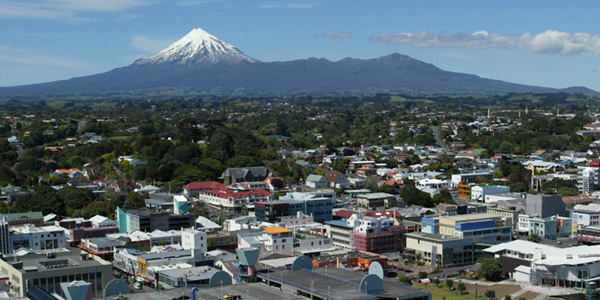 So after two months based in Wellington, our family moved once again to New Plymouth. Another move, another farewell to family and friends, but a new beginning. We cannot begin to describe the immense blessings that God has lavished upon us over the past four years, but we are very excited to begin serving God’s people in New Plymouth and to lead them to growth in Christ and worship of the great God that we serve. 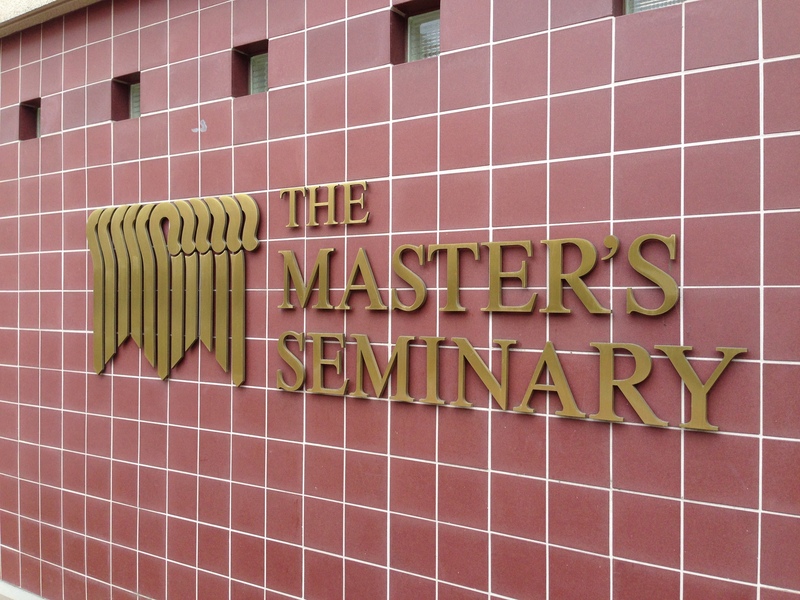 Today was the last day of classes for a week as the Seminary breaks for Thanksgiving for all of next week. I am grateful for some respite as it allows me to catch up on assignments and go over some things I need to review before Finals week. I came home tired and in need of a change of scenery, so I thought I would take my girls out on a mystery trip (Denise was out at a Fellowship lunch). The destination? 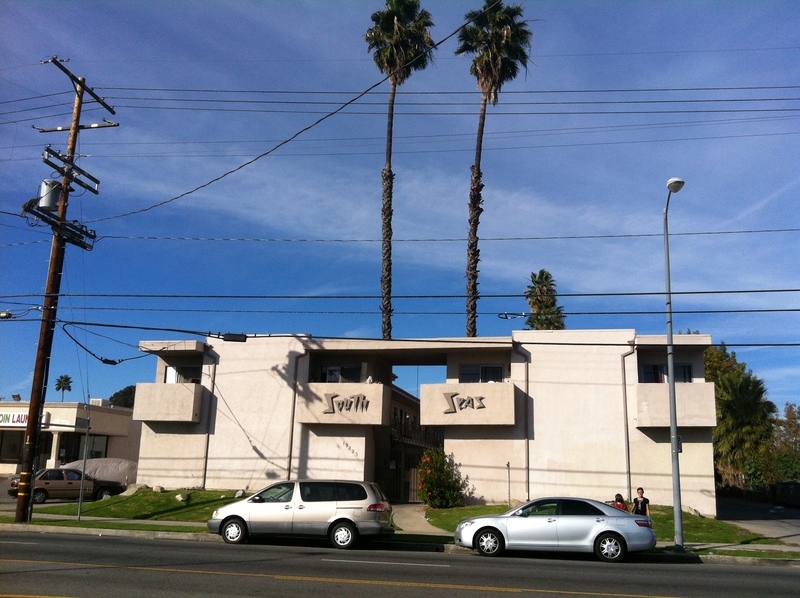 – South Seas Apartments in Reseda, CA. 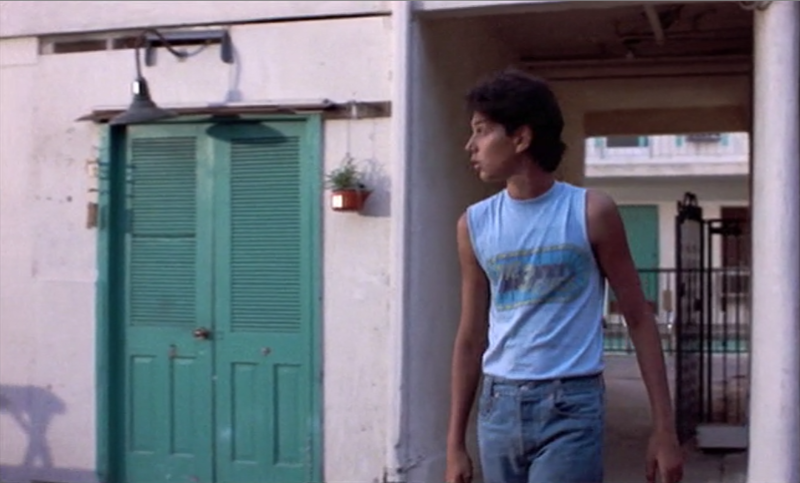 Now, for the very knowledgable and for those who possess exquisite taste in movies, would know that the South Seas Apartments was a movie location and is famous for being the residence of the Larussos in ‘The Karate Kid’ (1984). One of my very favorite movies. 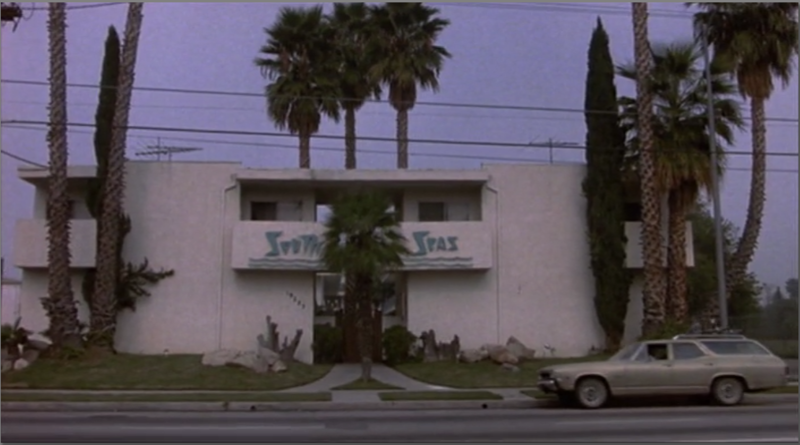 The front of the apartments as seen in the movie (1984). A view through the front gate as it looks today. Still looks the same (except the pool had water in it!). 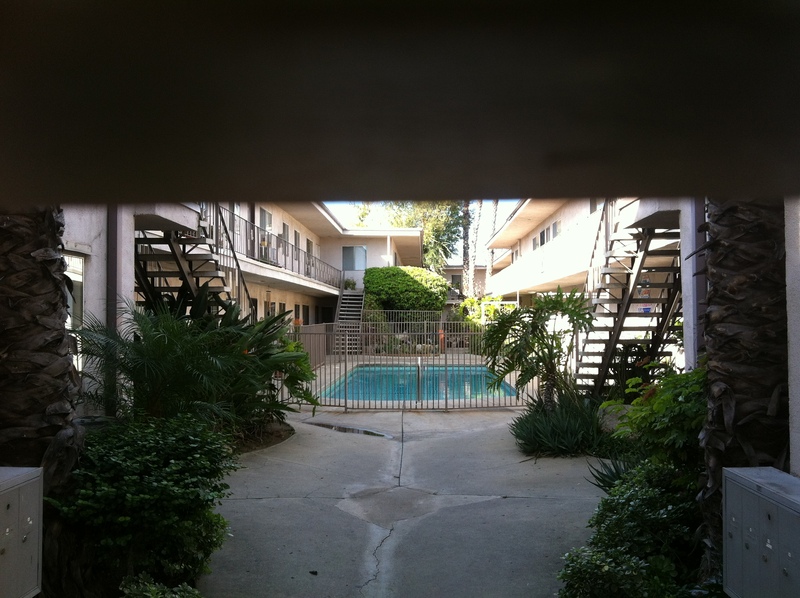 The Larusso’s apartment was situated at the top of the far stair case. 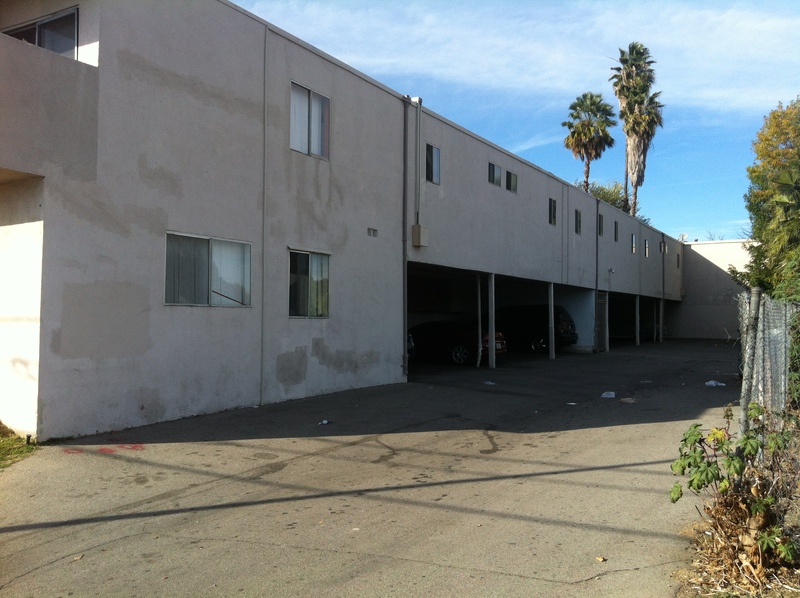 Down the side of the apartment complex is the parking garage and the field opposite the parking garage. 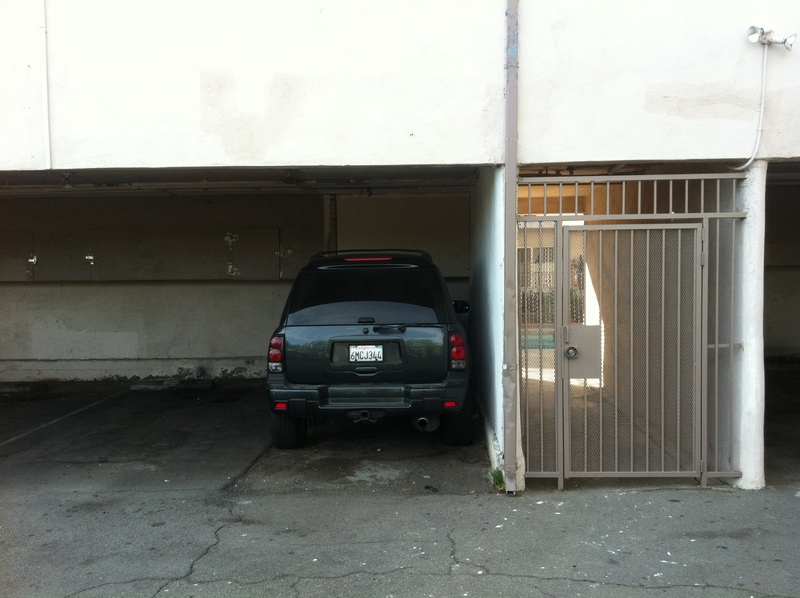 The parking garage is where they built Miyagi’s workshop. 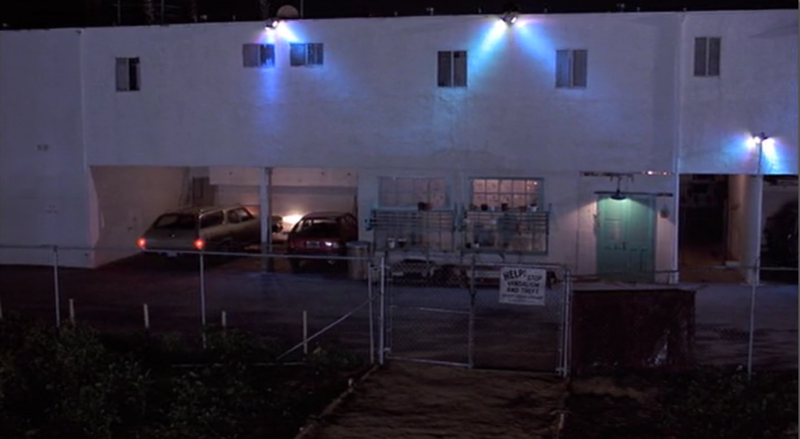 Here is a screenshot from the movie showing the parking garage and where Miyagi’s workshop (the green doors to the right of the picture) was built. This is the parking space today where Miyagi’s workshop was located. Notice the gate where in the movie Daniel exited to find the workshop. This is the same gate in the movie. 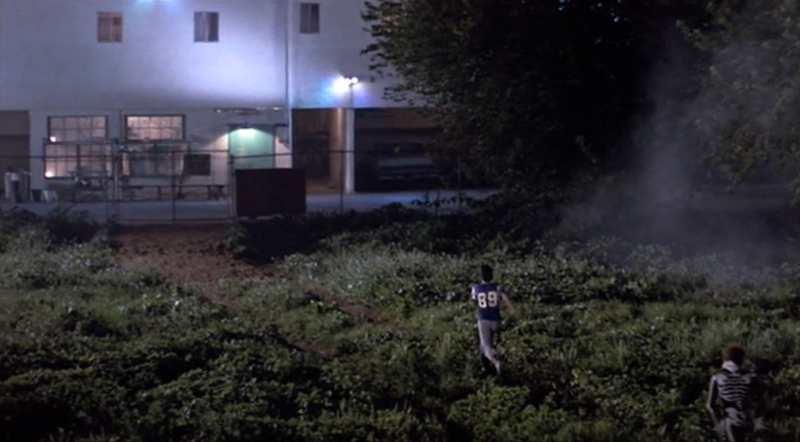 The field opposite the building parking garage was the scene in the movie where Daniel took a beating. Here is the field today (looking decidedly dry). 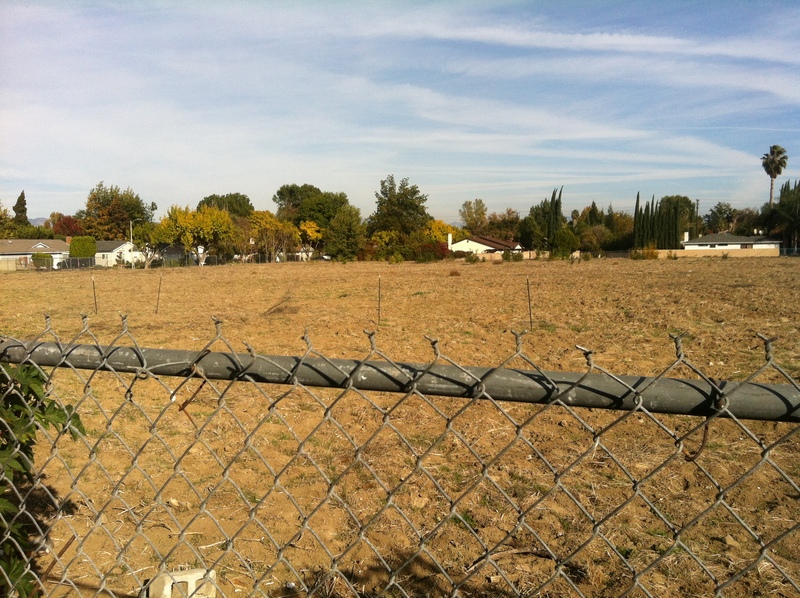 The field as seen in the movie showing Daniel running toward the apartment fence (which still exists today). One thing that immediately stikes you about living in the U.S is that everything is big. And I don’t mean big, but BIG. Apparantly smaller cars are becoming increasingly popular here but we are yet to see much evidence of that. 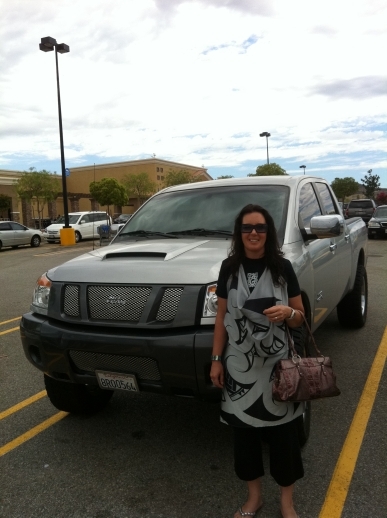 People drive around in big ‘trucks’ (we call them utes). The amazing thing is that most households don’t have just one truck but two or three. Pictures don’t do some of these monsters justice, but there are some massive trucks and I feel dwarfed when standing next to them. The stores are huge. We buy most of our household goods from either Costco or Walmart. The Walmart we use is a supercentre and it is huge (apparantly the supercentre’s average 185,000 square feet in size and employ approximately 350 staff). The supercentre has most stores you will find in an entire shopping mall – Pharmacy, Vision Centre, Hair Salon, Garden Centre, McDonalds and much, much more – all under one roof. It even has a Tyre and Lube Centre. The Costco store is also big and you can get many bulk food in big sizes. 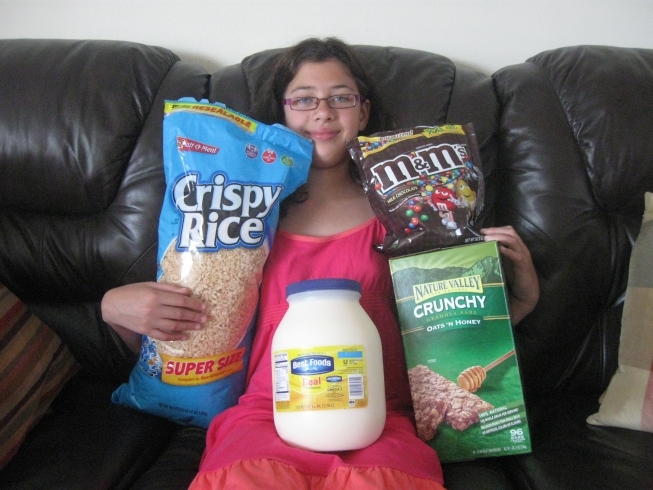 One of my favourites has to be …wait for it… a gallon of Best Foods mayonnaise. Classic. This week just gone has been the week of the ‘lasts’. The last Sunday fellowshipping at Heretaunga Christian Centre, the last home group gathering, the last day at work and saying our last good-byes to our close friends and family. The week started off with a fantastic farewell dinner on Monday night put on by our church, Heretaunga Christian Centre. From the moment we walked through the doors, we were absolutely overwhelmed and humbled by the number of people who turned up to farewell us. 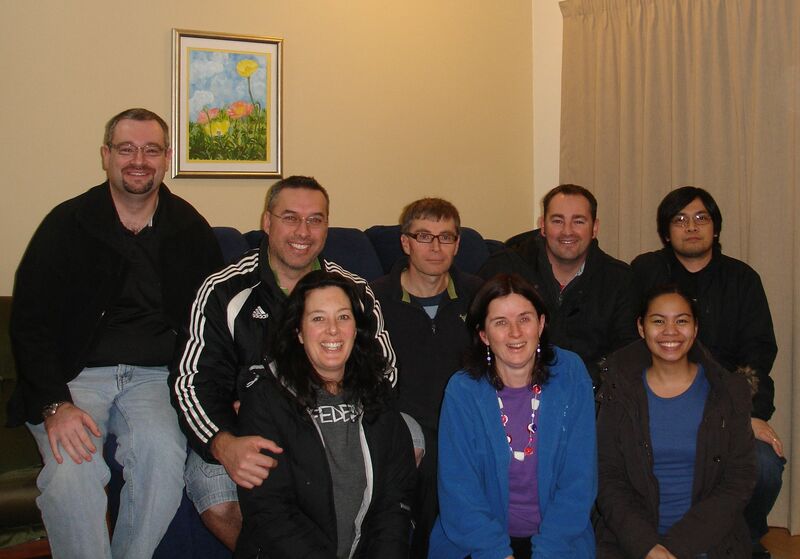 The fellowship was fantastic, the food was plentiful and we came away feeling uplifted and greatly encouraged. Praise God for the way His love was demonstrated through His people and boy did we feel it! Thank you Heretaunga for a great send-off. Tuesday was my last day at work. It was sad for me. I really enjoyed my job. I worked with a fantastic team of people, reported to the best manager I have worked to and worked for one of the most reputable company’s in New Zealand. But I love Jesus much more and have felt for some time that my future lay in ministry rather than I.T. It has been a very enjoyable four years at the New Zealand Fire Service and I will miss my colleagues immensely. It is going to take some adjusting to not having a job since 1987! I couldn’t resist meeting with my Home Group on Thursday night. I have briefly described my time with them here, but it was great to fellowship with them again and to prayer with them and for them (at least Maritess had the sense to bring a camera, unlike the absent-minded leader. Thanks Maritess!). The rest of the week has involved the last catch-up with friends (mainly Denise’s as she has far more than me), packing, culling items and more packing. Tonight is our last night in New Zealand (for a few years anyway). Good-bye New Zealand. You will always be our home. Good-bye to our family and friends. We will miss you while we are away. Please stay in touch and let us know how you are all doing. We are praying for you.